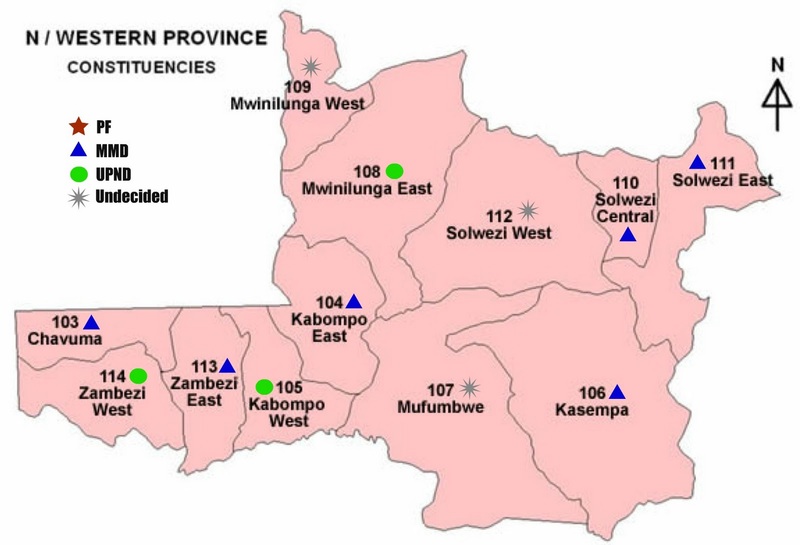 We have pulled together a few maps to give you a sense where the results published by the constituency results released by ECZ here are located. What beautiful pictures! The work now starts to translate these wins into development achievements. How about HE M Sata abolishes the post of District Commissioner? He doesn't even have to go to parliament for this. IMMEDIATE and significant savings! On taxes and levies: we need to remove the link between funding for ZICTA and the ERB and the companies they supervise. At the moment they are paid a percentage of the gross revenue of their clients. But they cannot act impartially if they have an interest in the income of the organisations they regulate. We shall talk more on this issue. 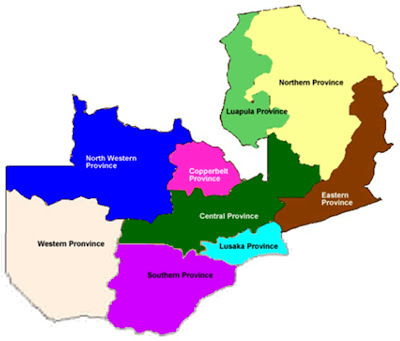 Looks like Western Province is a difficult place to crack by a single party. I sense that westerners put more emphasis on the quality of the local representation than party affiliation. 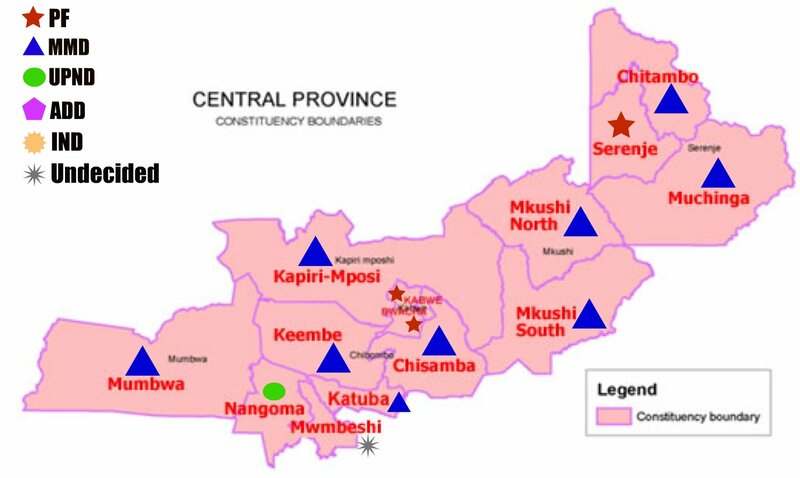 My advice to the political parties would be to let the party organs at constituency level pick the parliamentary candidates than centrally impose them from the top. 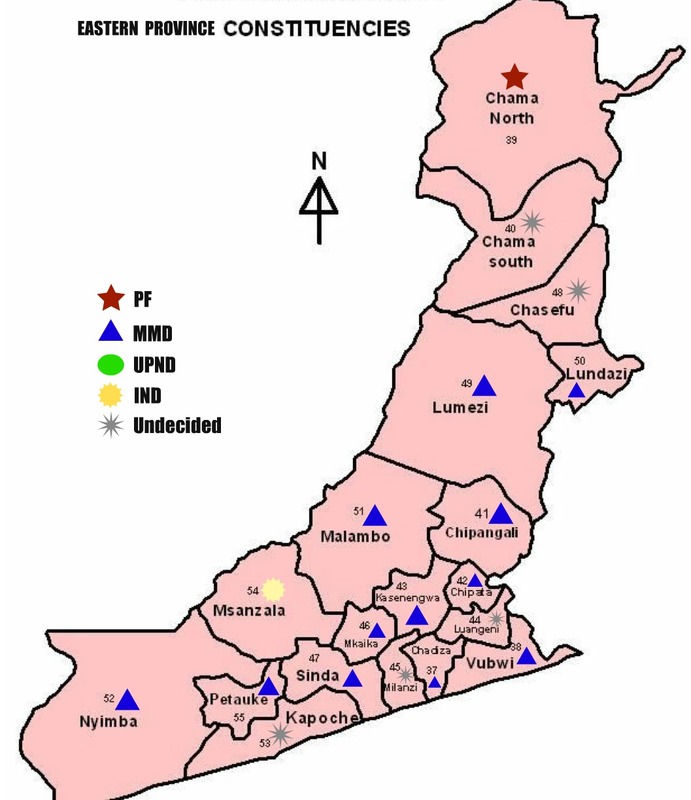 While the complete picture for Western is still shaping up, and a lot of the grey will likely be turning blue, the province was much more heavily MMD in the last two elections. 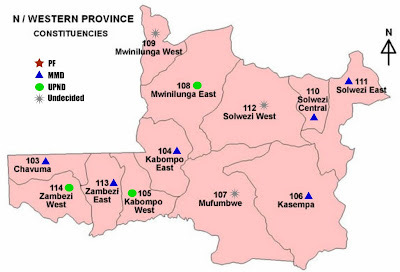 In 2008, Rupiah Banda carried all 17 Western constituencies, taking the provincial popular vote by 81993 over HH's 24723 and Sata's 11891. 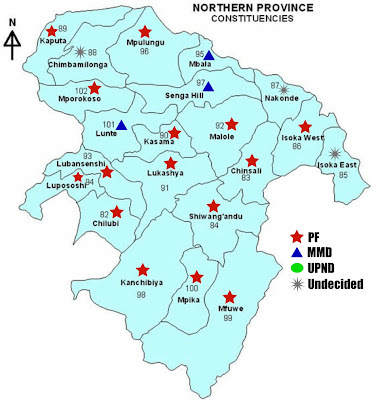 In 2006, MMD won 13 out of 17 parliamentary constituencies, losing one to the then UDA (pact between UNDP, UNIP and FDD), two to ULP, and one to an Independent candidate. 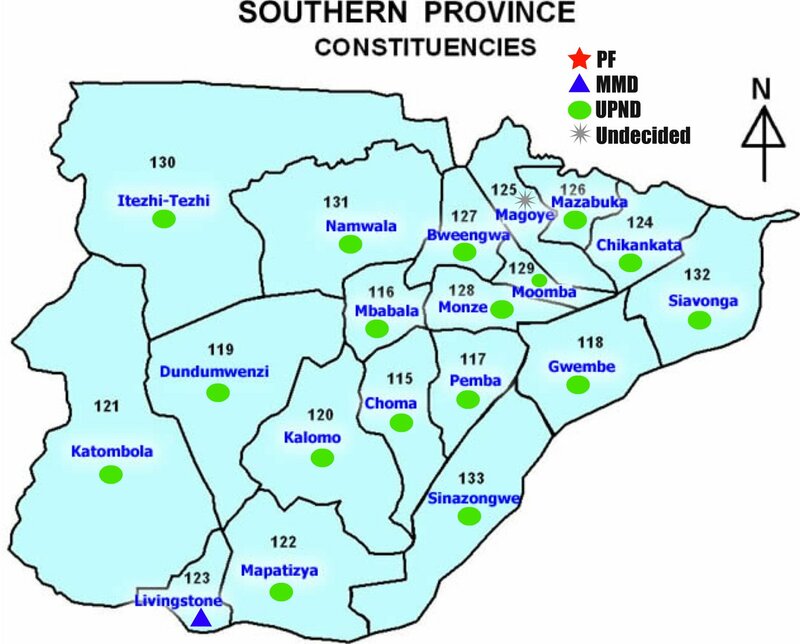 Once all the numbers are finalized I think we will see that the opposition takeovers in Western were indeed one of the keys to the presidential race. 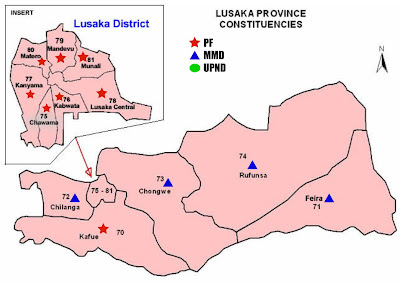 In a strange sort of way, the PF UPND pact never died! 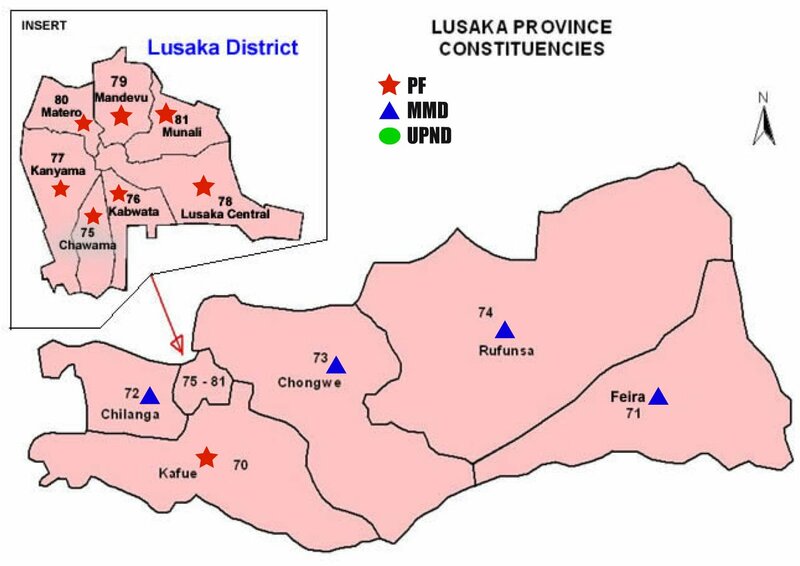 It seems clear that without a strong UPND performance in Western and North West PF's victory would have been quite difficult. However, it may well be that people were never going to vote for MMD, particularly in Western. 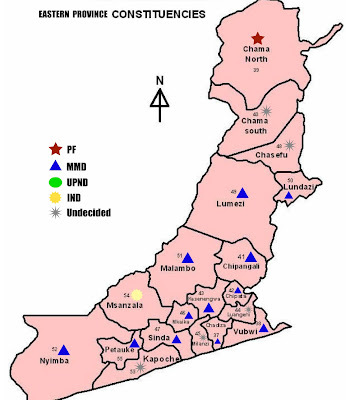 The MMD's handling on the Mongu riots and the failure to deal with flooding problems in 2010 seems to have caused significant problems. It is of course too early for us evaluate RB's overall legacy. I believe history will not be too harsh about the RB presidency. It is arguable that he leaves office with his reputation enhanced...He can rightly claim credit for a'growing' economy and investment in infrastructure including hosipitals and schools. He will lauded in the West as one of the few African leaders to accept election defeat and tranfer power peacefully.With good PR, he could use his defeat to his advantage and become a respected elder-statesman like Kuffor or Kauda , involved in conflict resolution and giving 'lectures' around the grobe. I just hope for his sake that he does not have Chiluba like corruption skeletons in his huge cupboard! I hope that the new government would be prudent enough to reduce the size of government. I do not think DC'S have a role for any government functions. One minister, one PS, use the local government to run local departments, and promote more cost savings to government expenditure. I've been looking for something like this to give the results a spatial reference. Finally I get "the whole picture". 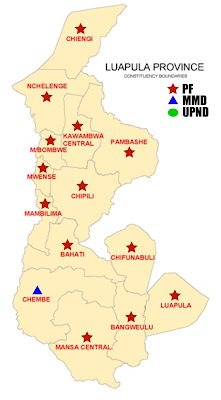 By the way: May I ask which basic map you used to generate these overviews? 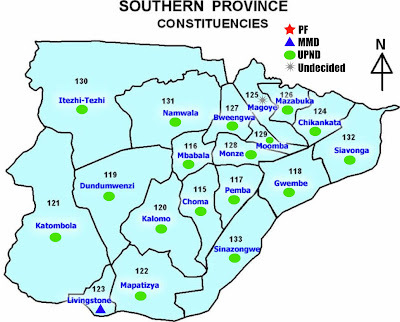 At the same time, it is clear that nearly entire provinces went to one of the main parties. Not only the UPND is a provincial party, but even the MMD was now basically an Eastern Province party. People still vote for the party that will bring national resources to their province. And that makes a lot of practical sense. I think the people have spoken, and they want greater decentralisation and local accountability, and if they can't have that, they will take their province's party being in national office. 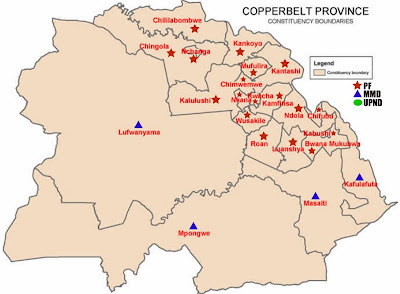 But it is informative how strongly entire provinces go to one party. 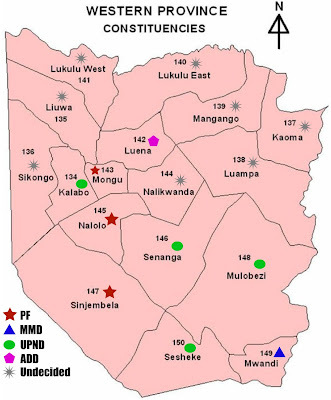 It is a problem that needs to be resolved before some politician tries to make politica hay out of it. Glad to be of service! I could only find one digital source of maps with constituency boundaries clearly marked, so I cannot be entirely certain that they are accurate. However, given that I lifted them from zoomed browser screen captures off the Parliament site (under Find Your MP, hence the low res), I think that it is safe to assume that they are official if nothing else. The pastel background colors proved harder to remove than was worth it at the time, so I tried to work around them and still be reasonably clear. Hopefully better artists than I will be able to handle the task next election! How do we transform the rural economy?